Divided into five chapters, players will jump, explore, whip, and transform to save the world! 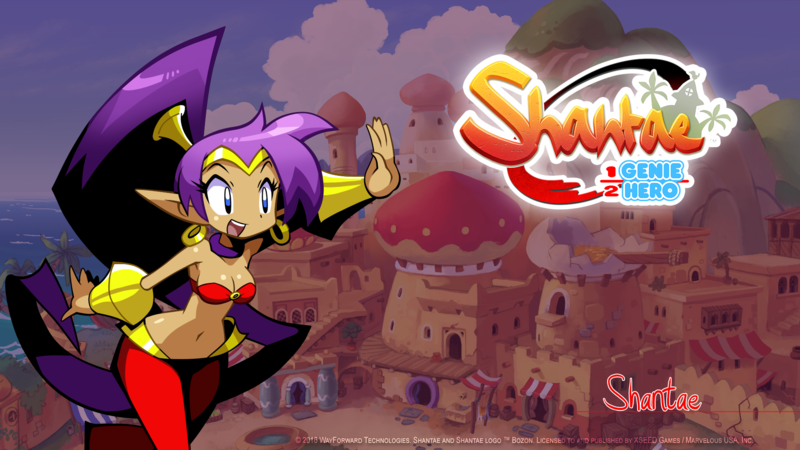 Shantae began her journey in 1994 and saw her first game released in 2002. 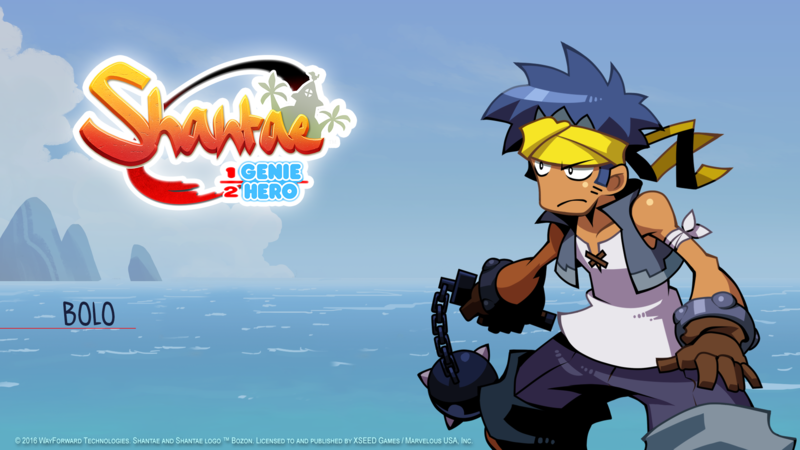 For over a decade Shantae games have won awards and acclaim the world over. Risky Boots transforms a simple steam-engine into a magical monstrosity! 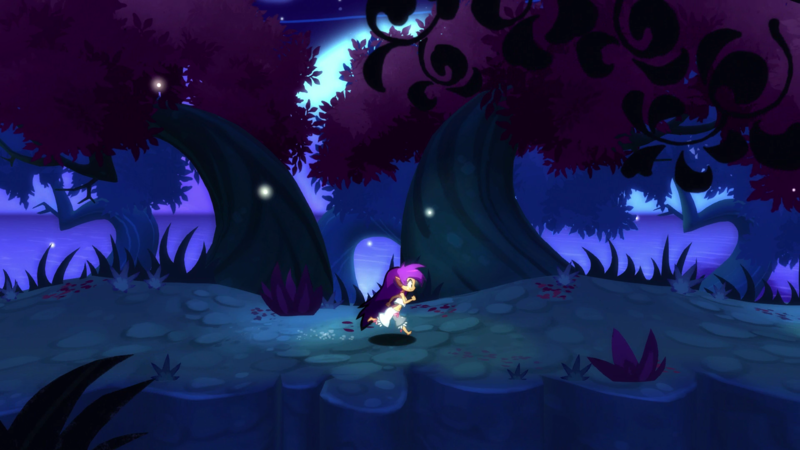 Can Shantae save Sequin Land from disaster? The game that started it all. 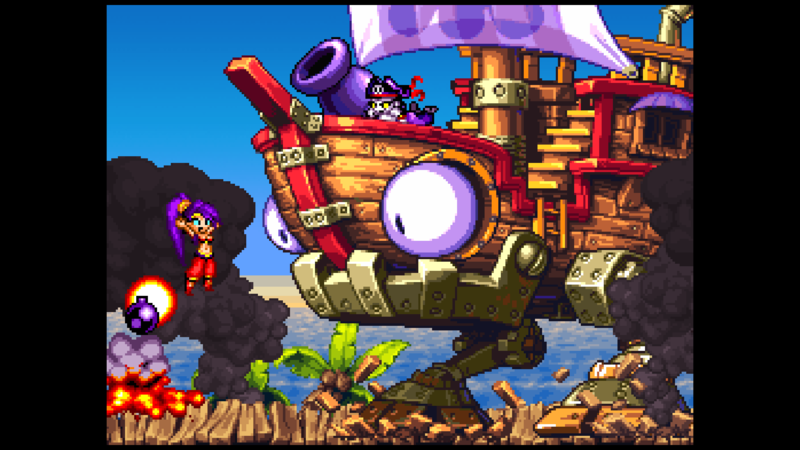 Reviewers named Shantae the Game Boy's swan song. It earned a perfect score from Nintendo Power and was deemed a “Best Nintendo Game of All Time” in their final issue. 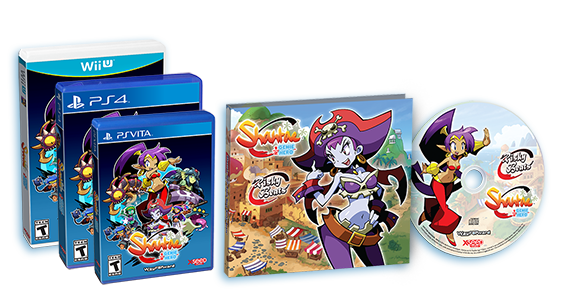 Distributed by Capcom in 2002, Shantae has become one of the rarest and most sought after collectables out there. It was recently re-released on the Nintendo 3DS Virtual Console. 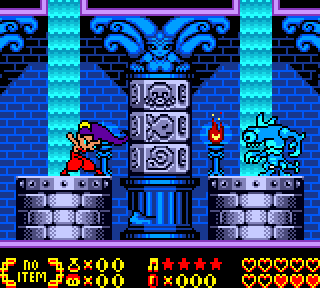 Risky returns with a magic lamp capable of stealing Shantae's "genie half." Is this the beginning of the end for Shantae and her friends? The sequel was a long time coming -- but was worth the wait, earning the highest Metacritic rating across all handhelds in 2010. The game was ported to iOS the following year. It was named Game of the Week by Apple and has since been featured numerous times as an "essential" platformer in the App Store. When a curse falls upon Sequin Land, Risky Boots and Shantae must join forces to battle unimaginable evil. The third act in the pixel series, this highly anticipated game was released in 2014 and was ranked the #9 Best 3DS game of the year on Metacritic. 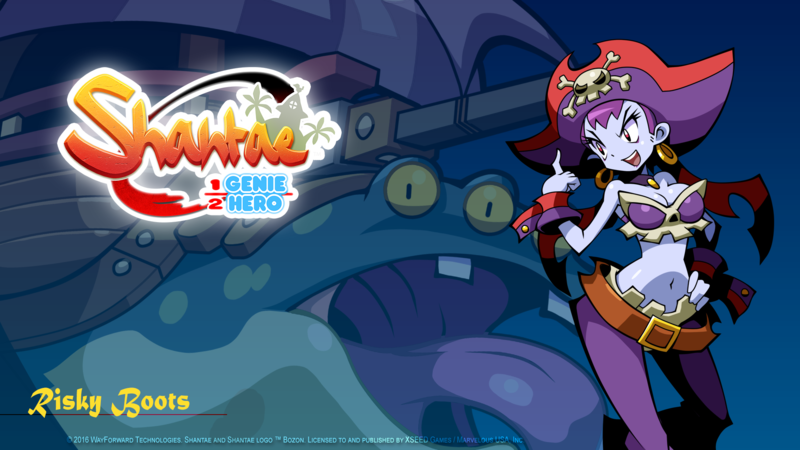 The Half-Genie guardian of Scuttle Town and the hero of the story! 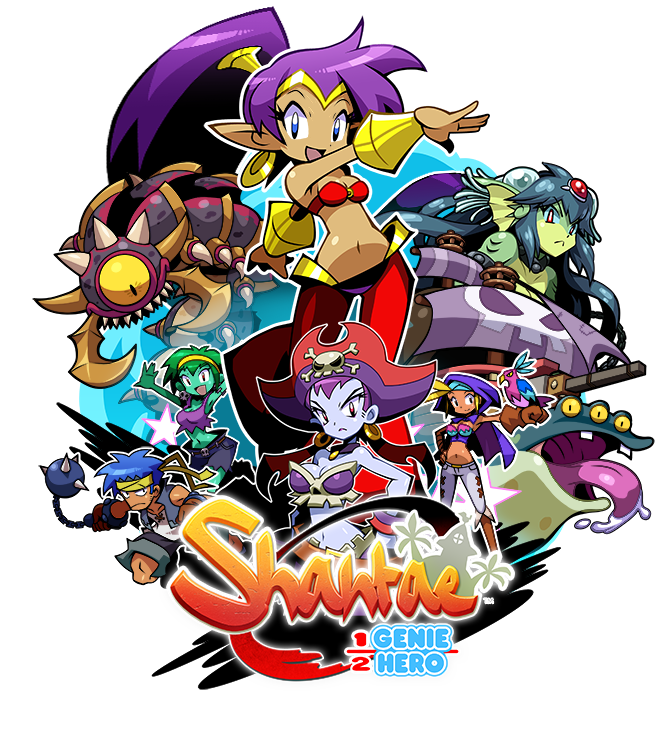 Peppy and hardworking, Shantae will stop at nothing to save her town from all forces that threaten it! 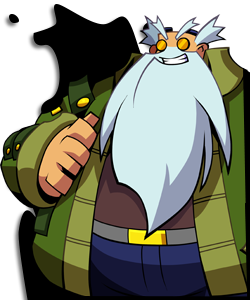 Shantae's Uncle is a "Relic Hunter" who's obsessed with re-inventing machines from a lost age. 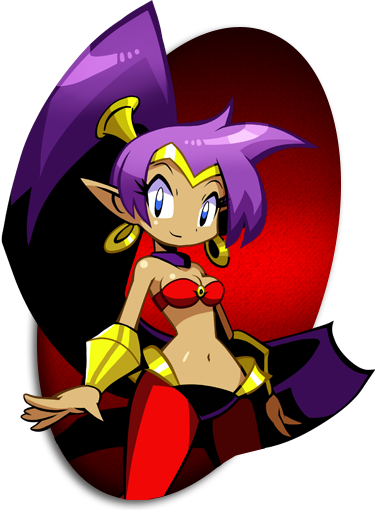 Shantae is eager to help her uncle gather the parts he needs to assemble a powerful device called the Dynamo! 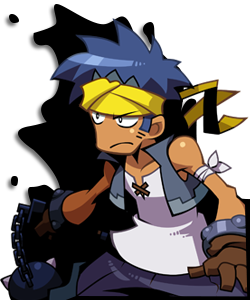 Shantae's childhood friend. 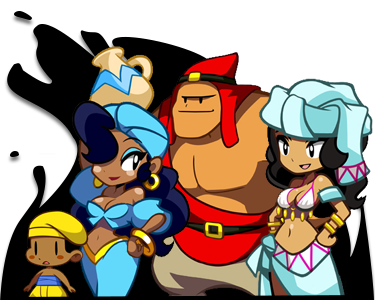 He holds a part-time job assisting Shantae's uncle at his workshop. 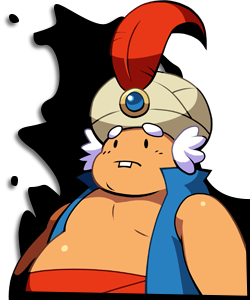 While he's often distracted with dreams of becoming a hero himself, Bolo remains a protective and loyal friend. 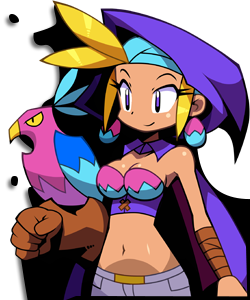 Shantae's best friend, and a gifted bird-trainer. Supportive and dependable, Sky is rarely seen without her trusty war-bird, Wrench. When Shantae needs a ride, she can always rely on Wrench and Sky! Rottytops is a free-spirited zombie with a mysterious past. She tries hard to be a good friend, but is more often a bad influence. Her two zombie brothers, Abner and Poe, can usually be found lurking nearby. 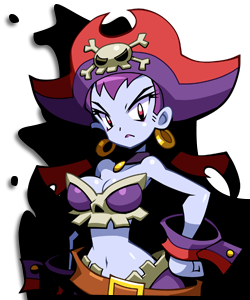 Risky Boots is the self-proclaimed Queen of the Seven Seas. She's a vain and selfish pirate captain who dreams of conquering Sequin Land. Her armies of shadowy Tinkerbats are expert craftsmen, existing only to do her bidding! She's a brilliant and skilled adversary who's always one step ahead. 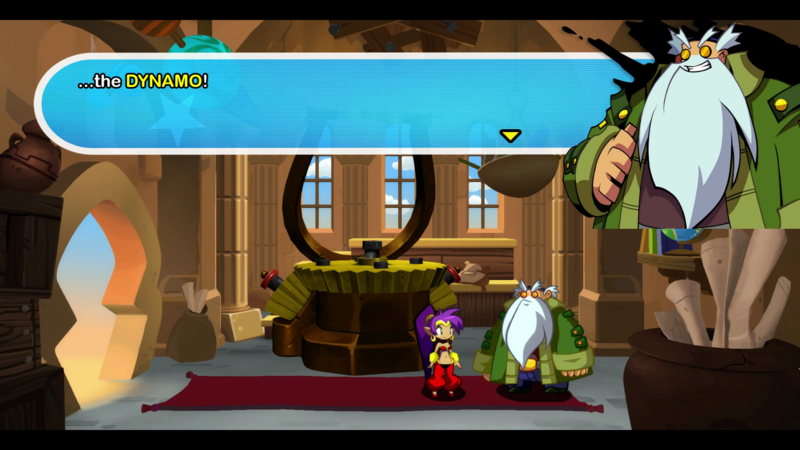 The bumbling mayor of Shantae's home town. 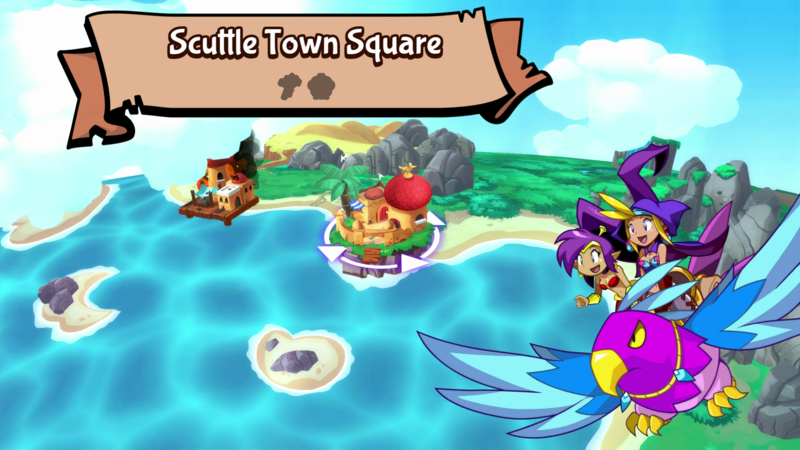 Despite Shantae's skill and dedication to protecting Scuttle Town, the Mayor's short attention span keeps him constantly on the lookout for Shantae's next replacement. 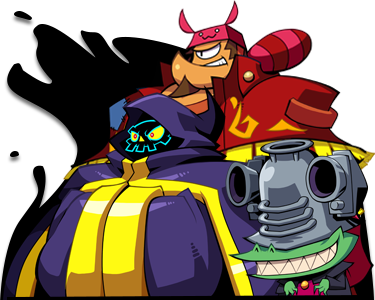 The Hypno Baron, Techno Baron, and Ammo Baron are constant thorns in Shantae's side, and are always up to some nefarious plot. It's Shantae's duty to make sure their plans remain foiled! The peaceful residents of Scuttle Town are filled with important facts and fun information. 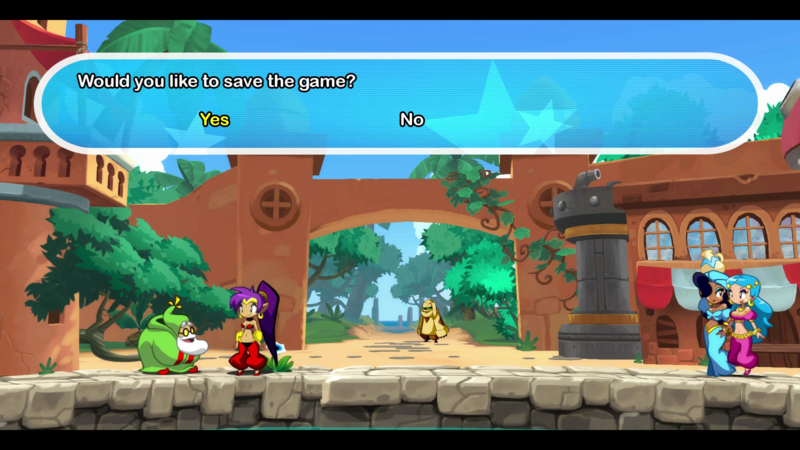 Shantae can learn a great deal each time she talks to them! 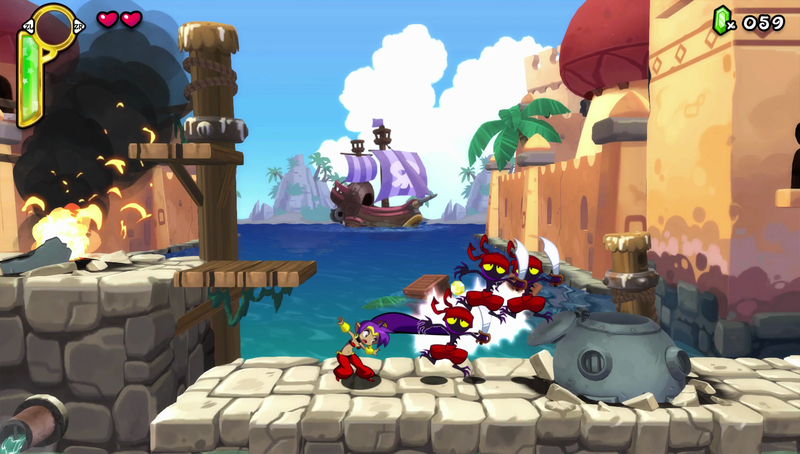 Attacking – As a Half-Genie, Shantae has an arsenal of attacks at hand, including magic and her trusty hair-whip attack! She can also run, jump, duck, climb robes, and swim on the surface of water. 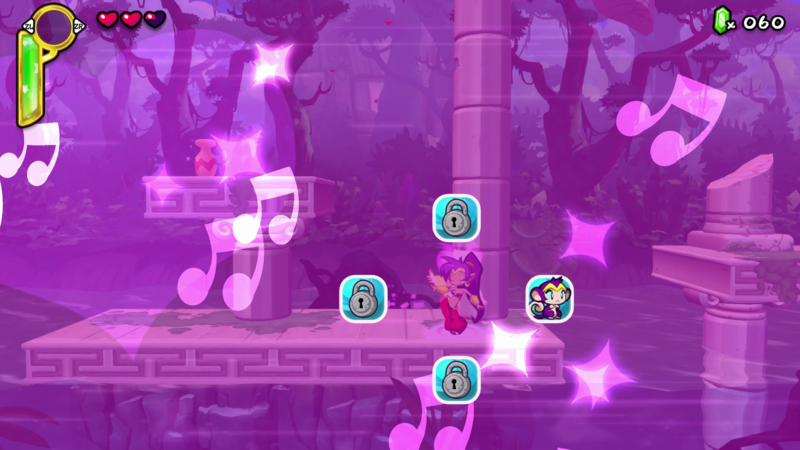 Transformations – Utilize Shantae's belly-dancing skills to turn into new forms or summon special magic! Transformations are essential to overcoming large obstacles and scouring the depths of every level. 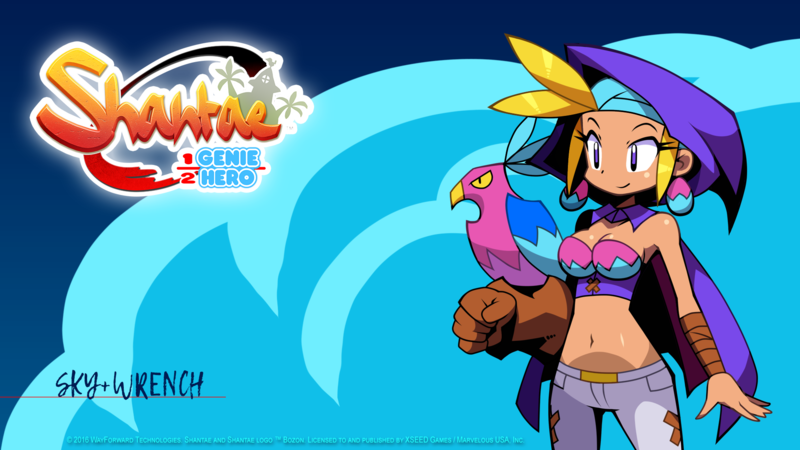 Wrench – Sky's war-bird is on hand to help Shantae travel! Use the Bird Whistle to summon this trusted partner. 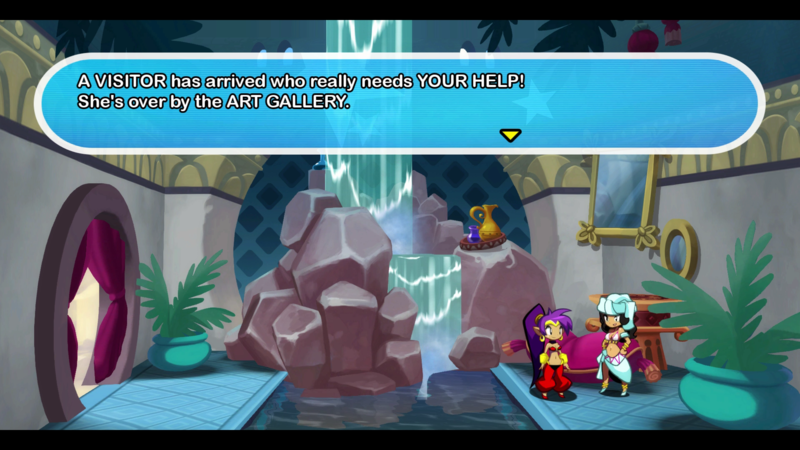 Quests – To advance, Shantae must complete quests given to her by various people that she encounters on her travels. Saving – The option to save is offered during play, but the game can be saved at anytime by visiting the Old Man in Scuttle Town!